Replacement of existing oak pegged sandstone slate roof and new spire following extensive decay. This Grade II* listed church dates from the late C12th, and is built in roughly coursed sandstone, with a sandstone slate roof. 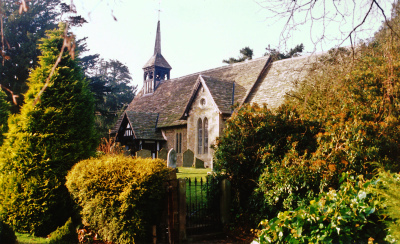 The timber framed bellcote was added in the mid C19th. The stone slates were delaminating and slipping due to the existing oak pegs having deteriorated. They were carefully taken off and selected for reuse, supplemented with matching salvaged slates where necessary. The slates were then refixed with new tapered oak pegs to new battens and counterbattens. 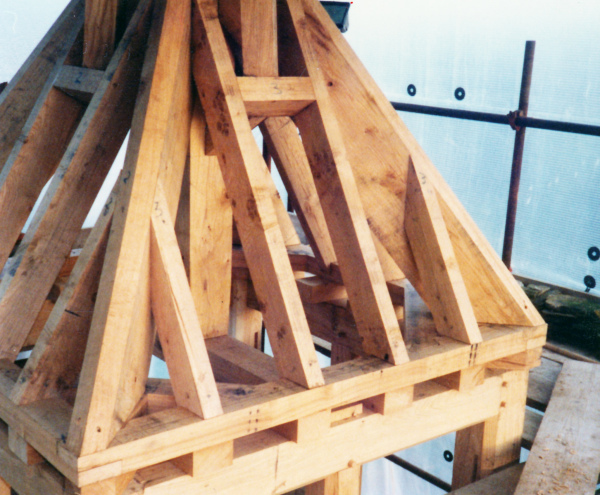 The timber framing of the bellcote had suffered extensive decay, and was in very poor condition. The structure was dismantled and recorded on site, and a replacement oak frame built to match the existing. The glazed panels were weathered to the oak frame with bronze flats let into the timber. The new spire was clad in lead on oak boarding, and the restored weathervane replaced on new bearings. Baart Harries Newall received a local authority conservation award for this careful repair.